You are at:Home»Digital»3 Ways Consumer Shopping Is Reforming in 2019! 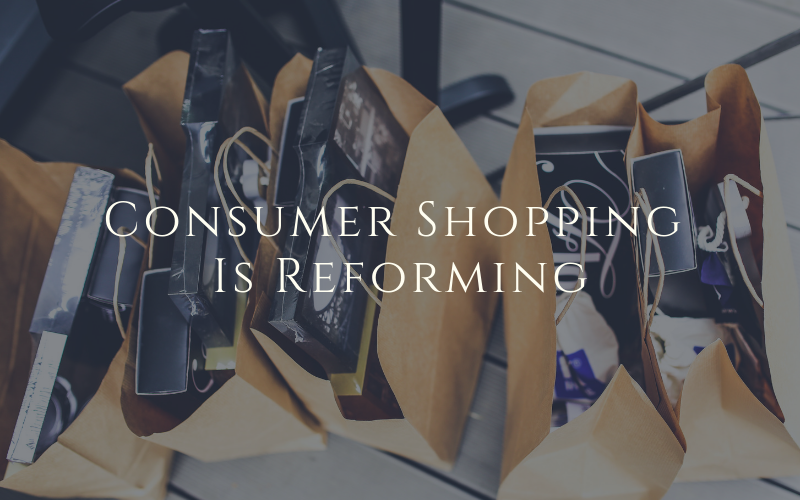 3 Ways Consumer Shopping Is Reforming in 2019! The retail industry has undergone a significant transformation over the past decade, and it continues to evolve quickly. With online shopping now, e-commerce is a strongly growing industry showing no signs of decline. Consumers shopping on Amazon, Flipkart and other online retailers, want more information on product pages, including numerous photos and videos of the product. For brands, there is a continuous battle to convert consumer purchases online and overpower competitors. This has risen in with tremendous intensity and requires much more active management of their product pages, website as a whole across the retail channels. According to a survey, consumers now want 5-8 images and at-least 2-5 videos of the product on your websites. Earlier consumers were looking for a maximum of 3 images per product when shopping online, now the numbers have doubled along with shoppers expecting multiple videos of the product on the product pages. It is observed that the younger audience are more keen on the media content while shopping online, and the older group are not far behind. The average number of images expected on a product page across all groups was six. As an online brand, you are not only competing with the category of products but with every other experience, your consumer has. It isn’t odd to hear a brand that Price is the chief driver of their sales, that may have been true in the past of the e-commerce industry. But with the rising e-retailers and abundance of choices and information to the consumers, it allows them to make much more subtle purchase decision based on their needs and wants. Today, the most frequently selected option- “not enough information or details provided”, are the reasons why consumers are leaving the product pages other than the brand or the price. Your product page is what consumers are increasingly basing their purchase decision on. Consumers are more agreeable to take chances with the new-comer product if the product detail page satisfies their needs and questions. This could be a vast opportunity to launch a new product line and build a consumer base. The youth care more about the reviews and details on the product page than the brand they are familiar with. Consumers are looking for brands to provide answers to them, with their specific set of questions on the product page itself. They have the ability to search for absolutely what they are looking for and find a perfect fit to match their needs. And it is easier than ever to compare products and find them. This whole practice could require extreme vigilance of your team, but in the long run, it could bring you the highest sales volume or highest margins of the product. Brands should see this as an opportunity to improve their product pages overall. These questions could reveal what’s missing in the product page itself. Some retailers also offer online chatbots to answer their consumers, creating a feeling of personalized services to the consumers. Consumer expectations and shifting their preferences for their online shopping experience have grown a bit vividly. And it is vital that your brand be able to meet both expectations and have a plan to continue doing so in the future. By embracing these trends and preparing for them, you can look at 2019 as another positive opportunity to grow. Are there any key developments or trends you’re especially excited about in 2019? Please share them with us here! Previous ArticleApple Pushes Beyond Iphone with Launch of New Services!